So, you finally made the excellent decision to book onto one of our Stag and Hen Weekends but your still not quite sure what to expect. Well below is a brief outline of what will be happening during your weekend with us at the Adventure Centre. Firstly, guests arrive from 3pm on the Friday afternoon. Group will be shown to their allocated accommodation which would be either the Atlantic Lodges, Adventure Barns or camping. Please make sure everyone knows that they need to bring a sleeping bag and pillow. After settling into your accommodation for the weekend the centre Staff will have the BBQ going and will be cooking up some yummy food for your evening meal. 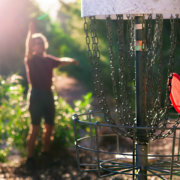 During the evening you can play Ultimate Disc Golf which is a fantastic laugh and a whole lot harder than it looks. The beer/cider and gin tent will be on-site for you to purchase locally made tipples of your choice. We have also decided to include the fire pit and chiminea hut on the Friday evening, so all groups can make use of these areas to socialise and have a drink.The Beer tent will also be open during the evening for you to enjoy locally made beer, cider and gin. All you need to do is kick back, have a burger in one hand and a nice cold beer in the other what’s not to like! Rise and shine – after a nice shower and freshen up a cooked breakfast will wait your group in the top Café. This should allow you all to start the day off just right. After a relaxing and filling breakfast, your activities will begin. You will have received your itinerary which will show the order and timings of your chosen activities. In most instances the on-site activities will take place on the Saturday which will include the Ultimate Assault, Awesome4some (aerial adventures), Kayaking and Stand-up Paddleboarding and Mountain Boarding and Archery. For any sessions taking place on either the Saturday or Sunday please ensure you take required equipment with you. Any necessary items such as swimwear, towel and trainers or comfortable, weather suitable clothing needs to be taken with you when you report for the activity. The activities usually run in most weathers so suitable clothing is a must. Most importantly, don’t forget the fancy dress and a camera or 5! 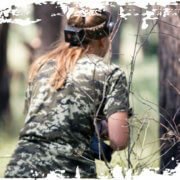 We love pictures of Stag and Hen groups on the activities so take plenty of pics. If your group is happy to please send them across to us as we love to see them and it’s great to be able to show real customers having fun on our activities on things like our social media or website. Now back to the details – Most of the sessions will begin at 10am and last approximately 2 hours so your first activity will take you up until 12 noon, where if required you can pre-book lunch in the Café. Depending on selected activities you will then have either another session at 1pm until 3pm or possibly some free-time to relax and recover from your first activity. The next slot is 3pm – 5pm. Depending upon the number of sessions booked and they type of activities requested there may also be a session that starts at 5pm – 7pm. 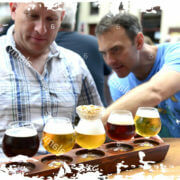 If you are not on a session, then you will have free-time to relax or get yourself ready for a night in the town. If you need to organise taxi’s into town then we usually suggest Number 6 taxis who can be contacted on 01237 666666. They can collect and drop you off from the Booking Office at the entrance to the site. On the Saturday evening you will have free time to either relax on-site and enjoy time with your family and friends, there is a restaurant about a 10/15 minute walk from the centre that serves lovely food and has a great range of drinks or if the customary pub crawl is more your thing them make your way into either Bideford or Barnstaple and dance the night away in one of the pub/clubs. We want you all to have a great time but please just consider a few things a) you may need to drive to activities the next morning and we wouldn’t want anyone getting caught being over the limit b) the fact that some other residents may have already turned in for their zzzzz’s when you arrive back to site and c) we would rather you kept your clothes on until you got back to your rooms! The overnight staff love to have a laugh with our guests but are not too keen on seeing any added extras. Treat yourselves to a well-earned hot drink and cooked breakfast to settle any stomachs still churning from last night and fuel yourselves for the day ahead. Those of you on the Ultimate Flexi package may have completed your two activities yesterday so after breakfast the only thing to do is pack up, say your goodbyes and have a safe journey home, or, if you have made new friends and they have on-site activities feel free to watch them make fools of themselves on the Ultimate Assault or on the Awesome4some and enjoy some chill out time with drinks and snacks that can be purchased from the café. For those of you that have on-site activities to partake in the sessions will begin at 10am so you will need to clear your rooms and report to the activity area ready for the activity to start promptly. For those of you who have off-site activities, please ensure that your rooms are cleared, and you take everything with you. You will already have the details of where the activity is held so make sure that the designated drivers are all prepped and OK to drive. We hope that you have a great weekend staying with us and make loads of memorable fun memories of your Stag or Hen Do. 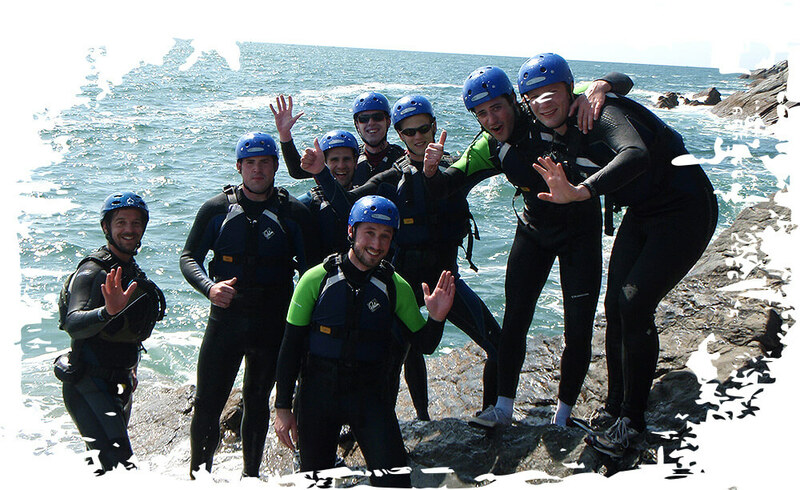 If we’ve sparked your interest with our blogs and you’d like to find out a bit more about creating an Ultimate Stag or Hen Weekend, then please get in touch!